Recently, a fellow friend from another Christian faith asked me to share my thoughts on Jesus Christ with the intention of posting it on his site in order to help other Christians with the concept of Mormons (members of the Church of Jesus Christ of Latter-day Saints) being Christians. I’ll open with a quote taken from C.S. Lewis’s book, Mere Christianity. When defining what a Christian is, Lewis references Acts 11:26 and states: “the original, obvious meaning…Christians was first given at Antioch to the disciples, to those who accepted the teaching of the apostles” (pg XV). Therefore, the heart of what it means to be a Christian is first believing in Jesus Christ and then following Jesus as His disciple. With this definition in mind, I will move on to share my thoughts on a brief history of Mormonism and what following Jesus Christ as a disciple, or in other words, being a Christian means for me as a member of the Church of Jesus Christ of Latter-day Saints. …there was in the place where we lived an unusual excitement on the subject of religion. It commenced with the Methodists, but soon became general among all the sects in that region of country. Indeed, the whole district of country seemed affected by it, and great multitudes united themselves to the different religious parties, which created no small stir and division amongst the people, some crying, “Lo, here!” and others, “Lo, there!” Some were contending for the Methodist faith, some for the Presbyterian, and some for the Baptist. …so great were the confusion and strife among the different denominations, that it was impossible for a person young as I was, and so unacquainted with men and things, to come to any certain conclusion who was right and who was wrong. I saw a pillar of light exactly over my head, above the brightness of the sun, which descended gradually until it fell upon me…When the light rested upon me I saw two Personages, whose brightness and glory defy all description, standing above me in the air. One of them spake unto me, calling me by name and said, pointing to the other—This is My Beloved Son. Hear Him! Through a sincere desire to follow Jesus Christ by searching, showing faith, humility, and prayer, Joseph Smith was able to be instructed by Jesus Christ himself as to how He wanted His church and followers to be. One of these included bringing forth the Book of Mormon, which acts as another witness of Jesus Christ, which the Bible states is necessary for all truth to be established (see 2 Cor 13:1). It is a collection of writings that are similar to the Bible about the sermons and letters of other prophets that believed in Jesus, but didn’t live in the same area as Jerusulem, where the Bible takes place. The Book of Mormon is necessary because it confirms and clarifies truths about the gospel of Jesus Christ that are found in the Bible. For example, we read in the Bible about how to be saved through faith, or confessing the name of Jesus, and we read about people needing to be baptized in order to enter into the kingdom of Jesus. We read about the Holy Ghost and we read about salvation through the grace of God and being judge for our works after this life. 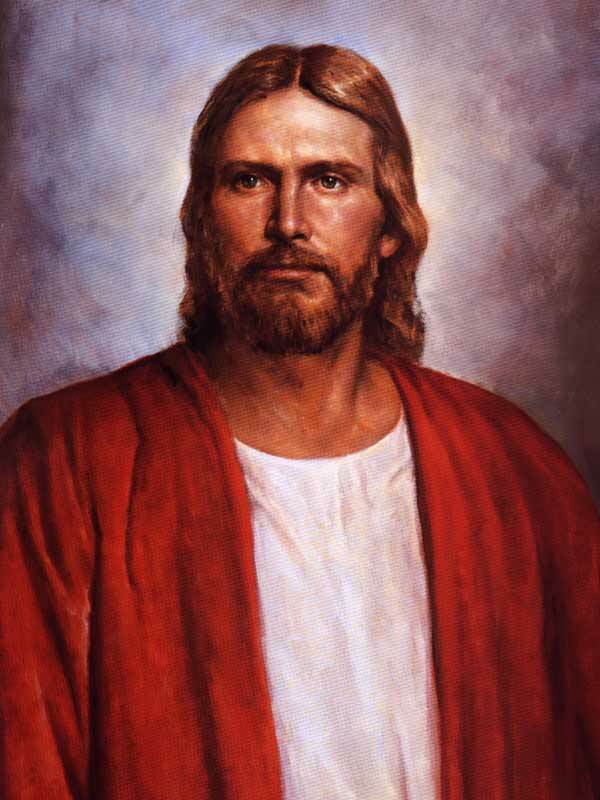 For someone seeking to follow Jesus Christ, it can be confusing to know how exactly to follow Jesus, just as it was for Joseph Smith. Thankfully, we have the answers in the Book of Mormon. In the book of 3 Nephi, Jesus appears to a group of his disciples after his resurrection. This group of disciples was struggling with issues on how to follow Jesus Christ completely. Some of what Jesus tells them is that the church should be called by His name and that the gospel of Jesus Christ that leads to salvation is: Faith, Repentance, Baptism, receiving the Holy Ghost, and enduring in faith until the end (see 3 Nephi chapter 27). I will conclude by sharing some personal experiences along with my testimony. At a certain point in my life, I too was struggling with faith and a testimony of Jesus Christ. Similar to the experience of Joseph Smith, I read scripture found in the Bible and also in the Book of Mormon that testified of Jesus Christ. I wanted to have my own personal witness that there is a Jesus and how to follow Him. As I prayed for the first time in sincerety to know, I was filled with a sweet, peaceful feeling that spoke to my soul. I knew it was God speaking to me through his Holy Spirit. I decided to embrace the Church of Jesus Christ’s teachings and follow the gospel of Jesus Christ through faith, repentance, baptism, receiving the Holy Ghost, and enduring to the end.